Taking it and clients to the stage were Draftfcb Johannesburg’s campaign for Toyota ‘Taai Oumas, Taai Tieners, Taai Meisies’, which won the Prestige Award as well as a Radio Gold. Another radio campaign by Draftfcb Johannesburg for Toyota Automark was awarded a Radio Gold in the Truly South African category while Draftfcb Cape Town’s Fire Blanket Calendar for Engen was awarded Gold in the Truly South African general category. Draftfcb Cape Town’s work for Pendoring 2012 won that agency three Silvers. In the category Television/cinema with a production budget less than R500 000 it was ‘Afrikaans Kom Kaap Toe’ while in the Posters, it was ‘Vat Oor: Sydney, Vat Oor: Londen, Vat Oor: Tokio’. ‘Vat Oor: Sydney, Vat Oor: Londen, Vat Oor: Tokio’ also won in the Craft category for illustration. Over the past 19 years, Pendoring has become much more than just an awards event. Today it is aimed at creating greater awareness of the power of communicating in the home language of the target market, be it Afrikaans, Zulu, isiXhosa, and so on. The Draftfcb group has a reputation for producing South Africa’s most loved advertising, across the country’s myriad languages. In 2009, it took home a Silver Loerie in The Loerie Awards’ New Voice Non-English category, only to follow that performance in 2010 with a Gold and a Silver. It is the most recognised agency in this category. At the Pendorings, it is a regular runaway winner: in 2002 first place honours in nine of the 17 categories as well as the Prestige Pendoring, which is awarded to the best campaign overall; in 2009 it took home 12 Gold Pendorings, and in 2011 notched up five Golds, five silvers and the Prestige Pendoring. 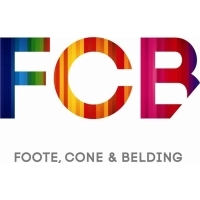 “Since the inception of Pendoring in 1995, Draftfcb has consistently performed excellently, more often than not leading the pack in terms of Gold and Silver Pendoring trophies, as well as the Prestige Award,” said Draftfcb Chief Creative Officer, Brett Morris.